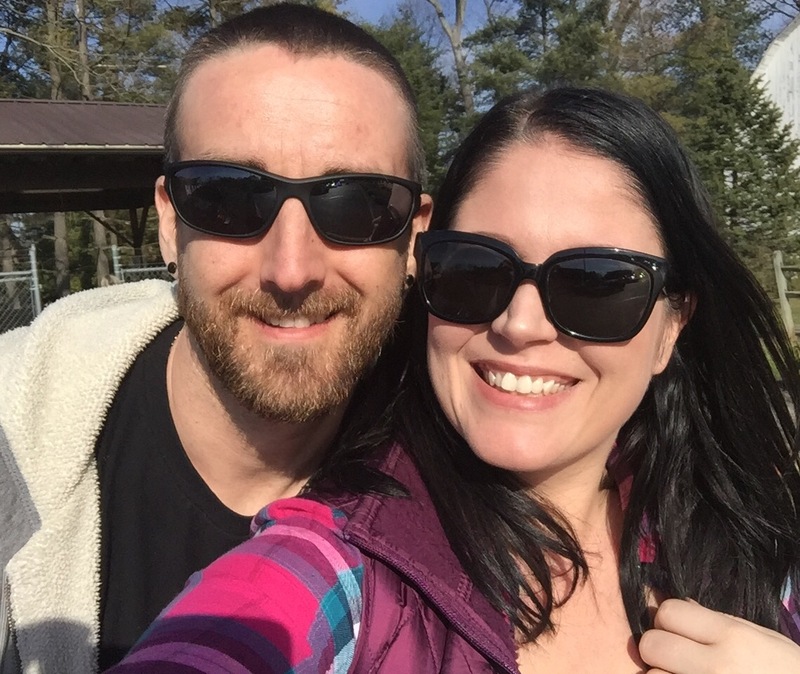 Last weekend, my husband and I got some rare time to ourselves. No kids. We wanted to feel like we were getting away a bit, but with only two days and one night alone, we couldn’t go far. 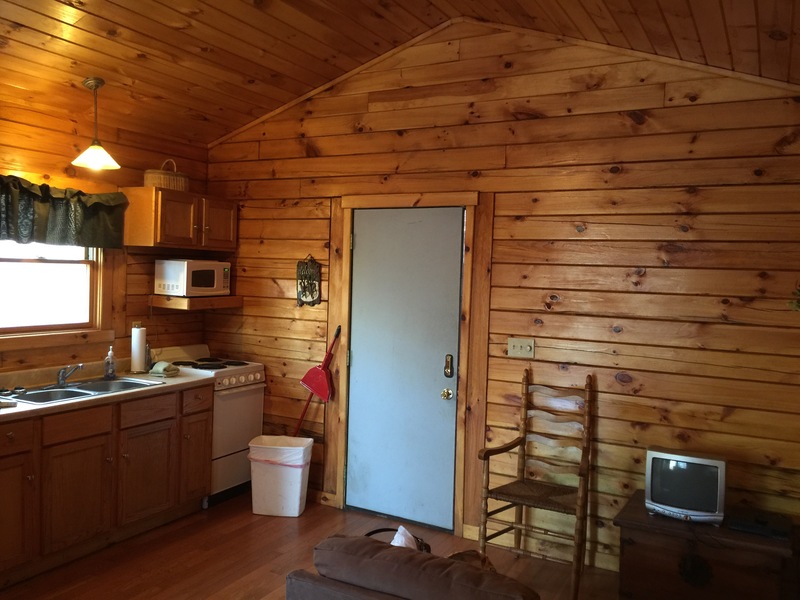 We decided to rent a cabin in the gorgeous woods of Hocking Hills, Ohio. It was less than a two hour drive for us, but we felt like we were a million miles away. It was magnificent. 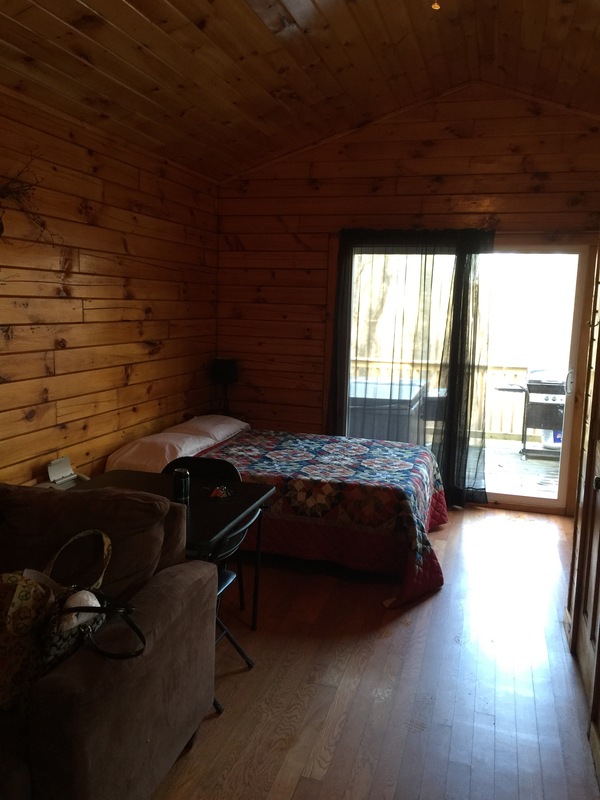 We rented a cabin with Blue Rose Cabins. Our cabin was an adorable two person cabin in the heart of the woods. Very close to all of the caves and trails the area has to offer. I was pleasantly surprised at our cabin. Very clean and quaint. The cabin also included our own hot tub and fire pit which we made sure to take total advantage of. 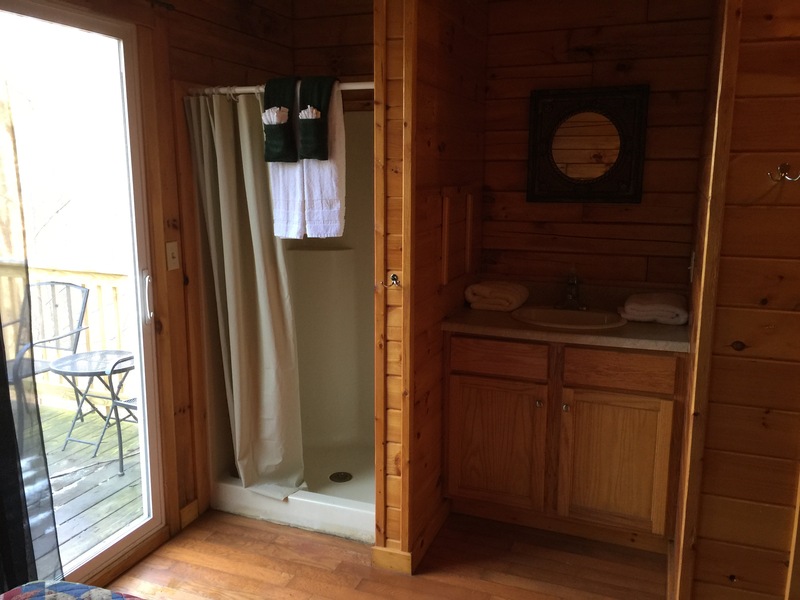 We spent our afternoon and night enjoying the cabin and it’s amenities…and the silence. Oh, the silence. Glorious silence. Fellow parents can appreciate the rare and precious moments of total silence. Pair the silence with the fresh air and forest and it’s like a piece of heaven. 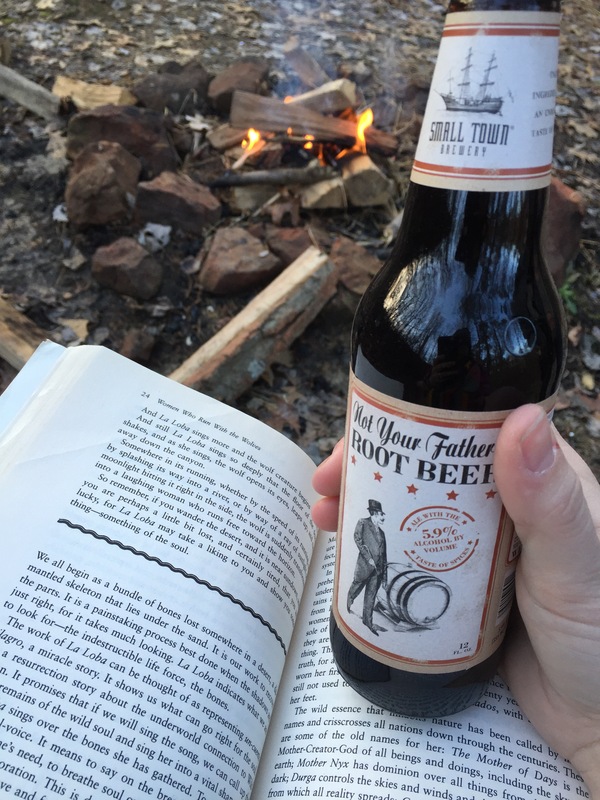 We spent a great deal of our afternoon and evening next to the fire where I enjoyed a cool beverage and a good book. And silence. Later in the evening, we spent a relaxing time in the hot tub enjoying the many stars (and silence). The next morning after our 11 am departure of the cabin, we spent the afternoon at nearby Rock House. 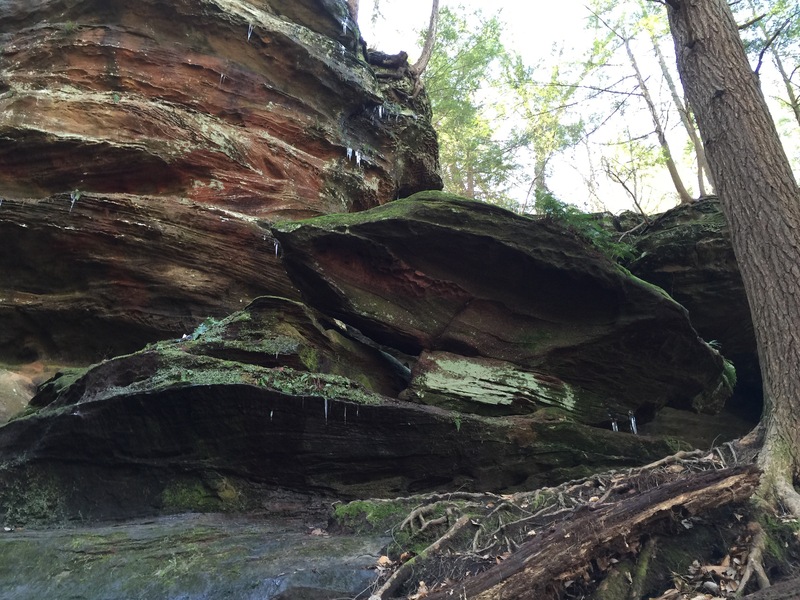 A gorgeous hiking trail and cave. Following the caves we began our drive home. 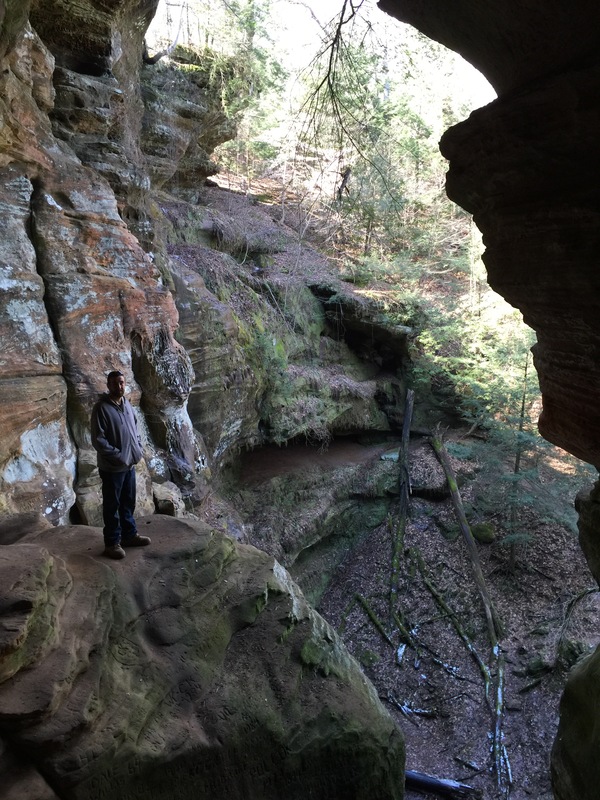 If you’re looking for a laid back weekend, surrounded by gorgeous trees and ancient caves and rock formations, I definitely suggest checking out Hocking Hills, Ohio and renting a cabin with Blue Rose Cabins. My husband and I had such a lovely time, spending time just the two of us and enjoying the stunning scenery.